I am looking to go in for another hair transplant. The reason why I am not doing this on a one to one basis via email directly with a clinic is because I`d like the members and readers of this forum to keep steady track and log of my progress as well, and perhaps it will be educationa as well. What I want is not the thickest of crowns, but enough to satisfactorily cover my crown area. I also want to use the least number of grafts possible. The area of which I want the hairs to be extracted from is also outlined in the picture. The real nape area, (the bottom of the back of the head of the hair, where we usually cut or trim for shape ups). Please give the approximate number of grafts I may need for decent, but not really thick, coverage. We can talk about pricing when the time is appropriate. Oh, and this will be FUE, not FUSS. These are what show the current status of my crown. The hair is not as wet as you think. I just run wet hands and fingers through my hair a little to apply a lot of minoxidil afterwards (makes parting and seeing easier). 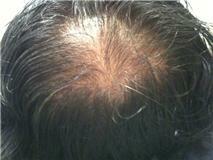 This is after minoxidil application). This is the area I`d like the hairs to be extracted from, I have A LOT (more than the average person)of hair in this area, but I shave the area for grooming purposes. SO minimal scarring is crucial! You do realize that nape hair is about as resilient as the hair you want to replace don’t you? I was on the phone with a “nape hair in the hairline” patient yesterday. When I asked him about it he said, and I quote, “my hairline has eroded over the years”. He was referring to how the nape hair fell out while the non-nape hair transplanted is still doing fine. Summary; nape hair is a temporary resource. In addition, since nape hair is finer you’ll need a lot more of it to make an impact. With your “traditional” donor hair 1500 grafts would give you the conservative coverage you’re after but with nape hair count more than twice that number. And for the record, this is not a consult, just an opinion since you’re looking at FUE only. Good luck. » nape hair is a temporary resource. » opinion since you’re looking at FUE only. Good luck. Hey jo, long time. Thanks bud and Im not looking for strip because I knwo I will need strip in the futue and dont want to get cut open for something so small. 1,500!! wow. I was hoping more like 500 grafts. I remember CIT posted a paitent where he had received 500 graftf in the crown and it was excellent coverage. I dont think i`d do more than 500 grafts for my crown. 2 reasons NOT to use nape hair. it is outside the “safe zone”, meaning that these hairs are subject to loss later in lfe. If you are unlucky you might therefore lose your implants and return to the currect situation. 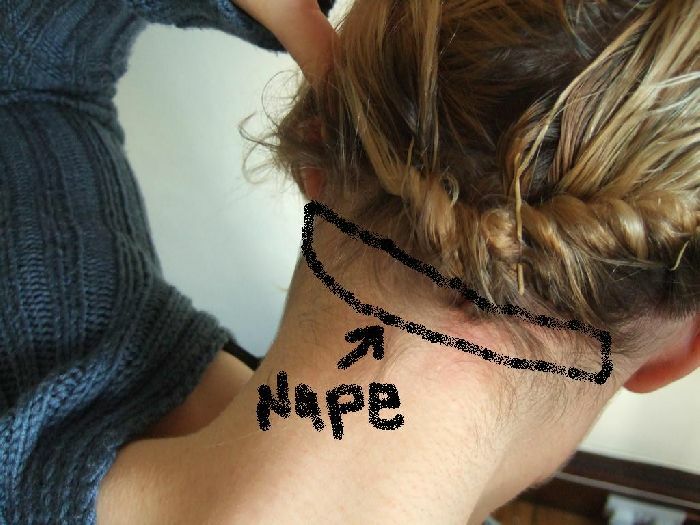 The nape is a relative small area. 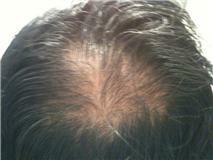 You will extract a large number from this area which will produce extreem thinning. Scarring, white dots are likely. In all I believe this is a plan for disaster. » for grooming purposes. SO minimal scarring is crucial! » 2 reasons NOT to use nape hair. » implants and return to the currect situation. » In all I believe this is a plan for disaster. » » for grooming purposes. SO minimal scarring is crucial! good luck for your crown!! btw has dutasteride helped to maintain?? How did you find propecia, did it slow or did it stop the hair loss? » » 2 reasons NOT to use nape hair. » » implants and return to the currect situation. » » In all I believe this is a plan for disaster. » » » for grooming purposes. SO minimal scarring is crucial! Why nape hair? You can go further above. Nowadays, H&W takes the strip right from top of your head and not sides. Just kidding.